UCG Music Director Caesar Storlazzi at the organ. The program runs through Saturday night. Lucy Gellman Photos. Thursday afternoon, Tan kicked off New Haven's involvement in Bach in the Subways, a now-annual international celebration of Johann Sebastian Bach on the composer's birthday. Born in Germany on March 21, 1685, Bach would have been 334 years old this year. It is New Haven's second time participating in the event. In the city, United Church on the Green (UCG) is fêting the artist all weekend, with two performance-filled afternoons Thursday and Saturday (get the full schedule here). This year, they will include not only established musicians but several students, including a group from Neighborhood Music School and the Connecticut Suzuki Guitar Academy Advanced Ensemble. All events are free and open to the public. Aaron Tan: "It's just celebrating something beautiful that was created by a fellow human." Bach in the Subways began nine years ago, when New York-based cellist Dale Henderson began playing Bach Cello Suites in New York City subway stations. A near-lifelong fan of the composer, Henderson saw the event as a chance to make the music more accessible to people as attendance waned at classical music concerts, and mentions of the composer grew rarer in the public sphere. Instead of cracking his case open for donations, Henderson offered his audiences a postcard about his project, and what made Bach so worthy of a mellifluous birthday bash centuries after he had left the earth. Nine years in, the program has exploded into a 36-hour Bachfest across almost 200 countries. In New Haven, it runs as a collaboration between musicologist Kerala Snyder, an organist and professor emeritus at Yale who is still active in the city's music community, and UCG Music Director Caesar Storlazzi, a New Haven native who plays organ and oboe in addition to his work at Yale University. Over two jam-packed days of performances, they expect to hear from artists playing Bach on string and wind instruments, in addition to the church's Baroque-style organ, Steinway grand piano, and harpsichord. 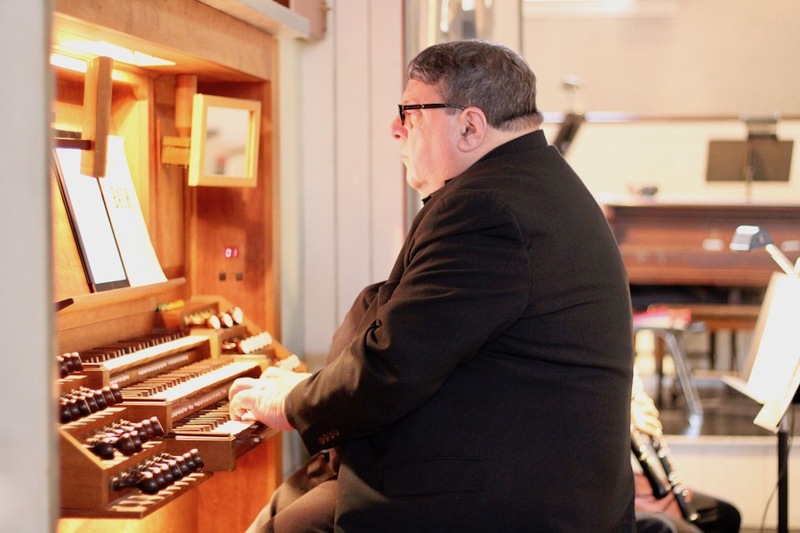 "It represents our celebration of the life of one of the greatest musicians in Western European culture," said Storlazzi Thursday afternoon, just moments before joining oboists Marta Boratgis and Olav van Hezewijk at the organ. "It's his 334th birthday and his music is still with us." After collaborating with Bach in the Subways and UCG last year, Snyder said that she worked hard to expand the program to more area ensembles and music students in New Haven. It's a still a limited selection of New Haven's student musicians—Music Haven, for instance, was not notified of the event or invited to perform—but it's a start. She said she is particularly excited to hear NMS's performance, after cultivating a partnership with the school and young musicians for the better part of a year. "That's the future of course," she said. Back in the audience, organist Aaron Tan pulled out his laptop and started to work. Just moment before, he had been fused to the second-floor organ, pushing through the grace and fury of Bach's "Allein Gott in der Höh' sei Ehr." Now he was planning to spend the afternoon bathed in organ and string music. Oboe floated over his head and kept going. 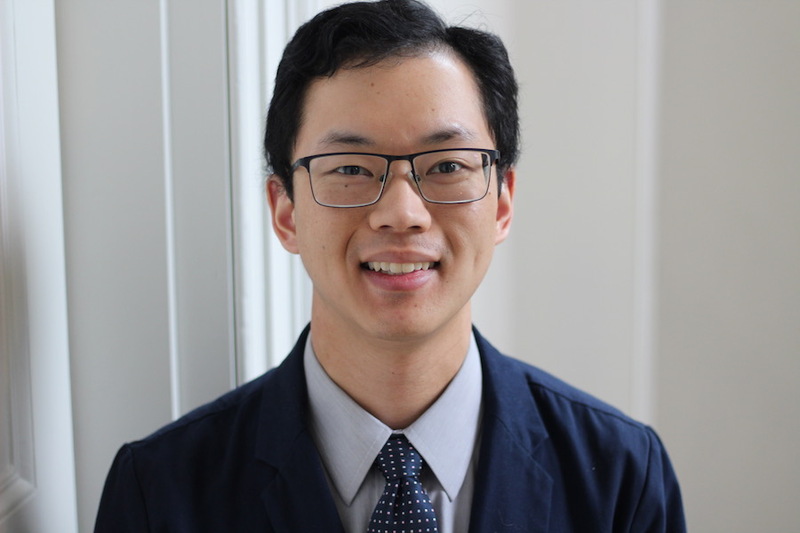 A first-year graduate student at the Yale School of Music, Tan said that he tries to choose pieces that transport him, allowing Bach's timelessness to show through his playing. For him, hopping on the event was a no-brainer—he is already playing several of the pieces at a performance in April, and it gave him a chance to practice. "Someone quoted something to me like, 'Bach is bulletproof,'" he said. "Meaning, like, whatever instrument you play on ... it still works because the music itself is so rich in its quality already." "It's just celebrating something beautiful that was created by a fellow human," he said. "I think it's kind of timeless."